Oliver Postgate, the creator and voice of many (if not most) of the animated series I watched when young, passed away yesterday aged 83. 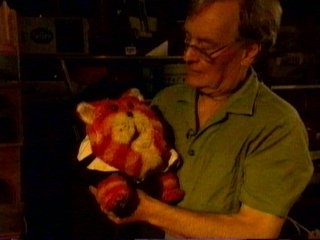 The projects Oliver and his company Smallfilms produced; Bagpuss, Noggin the Nog, Ivor the Engine and the Clangers among many other, sum up my (and most UK people of my generation’s) early childhood. Still popular with children (and adults) today, the programs were imaginative, innocent and simple but most of all they never talked down to us, something today’s children’s TV producers could learn much from.